Though it may seem like it at times, not all dogs have cast-iron stomachs. 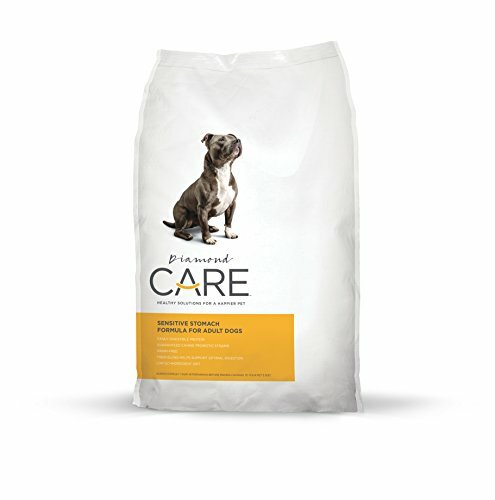 This formula is built to help address your pet’s sensitive stomach. Some dogs fare better on a grain-free diet, so potatoes are included to provide important carbohydrates. High-quality, easily digestible egg protein provides the essential amino acids your dog needs. And to further help support digestion, probiotic strains that are native to the canine GI tract are added in guaranteed levels. Diamond CARE Sensitive Stomach Formula for Adult Dogs is safe for prolonged use, so if you find it helps your dog, you can keep him on it. But like anything concerning your pet’s health, check with your veterinarian first. If you have any questions about this product by Diamond Pet Foods, contact us by completing and submitting the form below. If you are looking for a specif part number, please include it with your message.